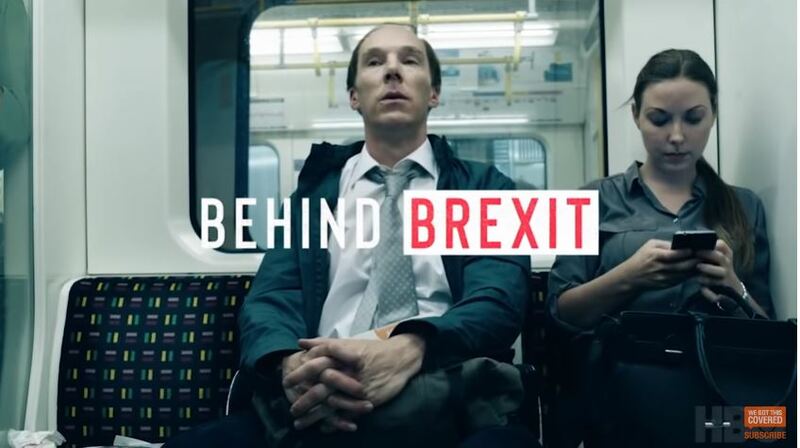 Reading James Poniewozik’s New York Times review of Brexit, airing on HBO and starring Sherlock’s Benedict Cumberbatch as a consultant for the successful “Leave” movement, it’s clear he isn’t a fan of the choice British voters made in June 2016 (neither is anyone else at the paper). Watching HBO’s “Brexit” as an American is like going to a movie with the knowledge that you’re living in the sequel. But the parallels need little underlining: complacent establishments awakening too late to public anger; the exploitation of nativism and bigotry; and the frightening efficiency of social media as a way to surface grievances and weaponize them. ....Dismissing his clients’ desire to build a broad coalition, he insists on running a divisive campaign in which the difference will be made by angry Britons who don’t usually vote. So people who didn’t usually vote, voted. A circumstance the Times in virtually every other context would consider a wonderful thing, given its obsession with alleged vote suppression by the Republican Party in the United States. Despite its dark message, “Brexit” often has a swinging, heist-movie feel, even if the safe that’s being cracked is democracy. It walks through the methods of targeting people on social media by seeing what they click on (like a graphic that draws a menacing arrow from Turkey to the British Isles), then amping up the dog whistles and incitements.